"Love to play with shapes and color combinations that will tickle your senses." 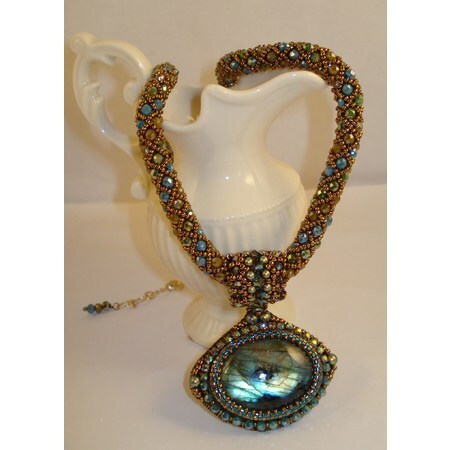 Works consist of original designs in bead embroidery featuring natural stones and vintage glass and seed beads. 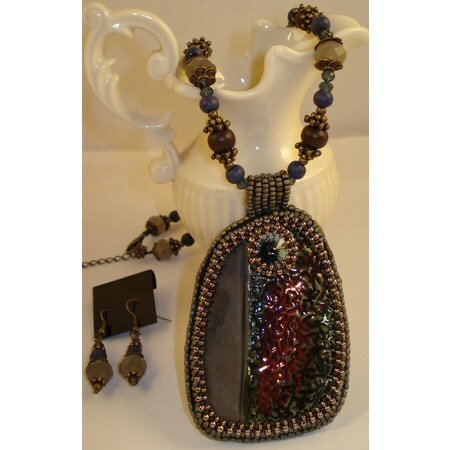 MARY BETH - I am an avid self taught bead artist for 8 years. 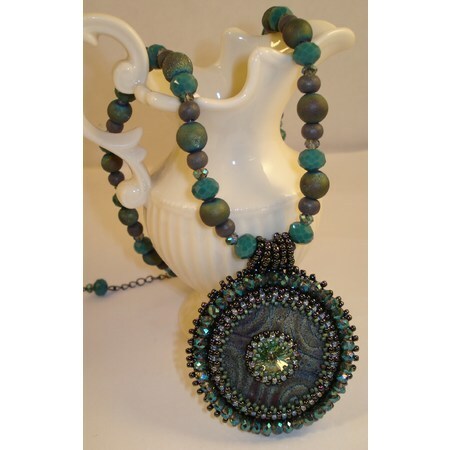 My passion is bead weaving and bead embroidery in shades of the storm...blues, grays, blacks. 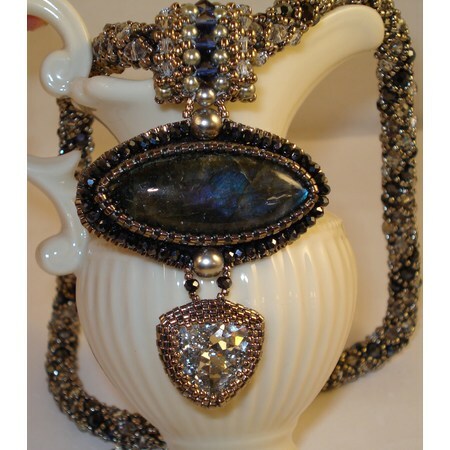 My favorite materials include Swarovski pearls and crystals, semi precious gems, and labradorites. Oh, how I love my labradorites! 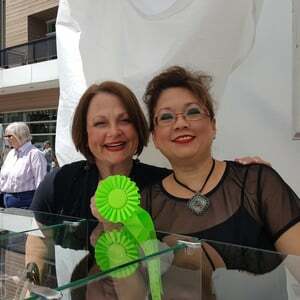 When not working at my full time job, I can be found at Facets of Isis, either working on new designs or teaching my love of beading to others. 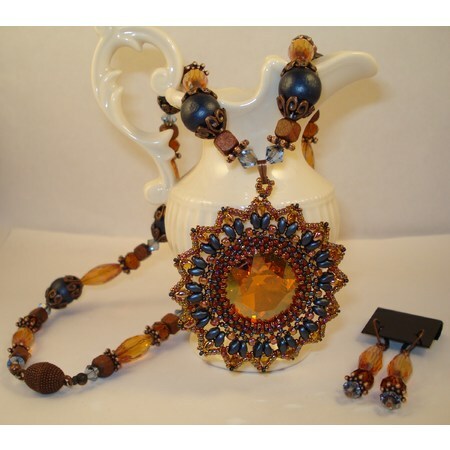 I bead for myself to fulfill my passion of creative desire. That others may admire my work is a gift indeed.